Private home care is ideal for aging at home. Aging at home is ideal for elders who wish to remain in place, this way their home care choices may be made based only on their personal and private wishes. Not everyone desires the community based care, that is available at an assisted living facility or a nursing home. It allows seniors and their families the ability to choose the appropriate personnel whom they will get to know and trust over time, developing relationships and a partnership, that will only add to the patient’s quality of life . Also, because of this relationship, there will never be a need to get acquainted with new caregivers on a daily or weekly basis. Seniors usually do best emotionally and psychologically when they remain in the comfort of their homes, around familiar surrounding and familiar faces! Time Management is one of the most important tool that a caregiver will possess. Every minute is valuable, therefore the caregiver will immediately figure how he or she will assess and execute the daily activities. Every task must be completed with accuracy, as he or she bears in mind, that the safety of him or herself and the patient is paramount. By doing so, all equipments that are needed for an activity should be readily accessible for use. That is, before the patient is encouraged to get out of bed in the mornings, the walker, wheelchair or cain must be in working order and be placed in the correct position so that the patient can easily and comfortably access them. Clothings may be picked out overnight and be placed in the patient’s bathroom or appropriate place of dressing. This should also be done for shoes, socks, stockings and other necessary underwears as required. The caregiver may also feel the need to think fifteen minutes or so behind the specified completion time. By doing so you will always complete the task on time. Please consider, that the patient’s desires must be adhered to, therefore before you lay out each garment you may ask the patient’s approval first, you may do otherwise if the patient is no longer able to communicate that information. Do the one two three steps motion. Second, during this time (while the patient rest) you may attend to the bedroom. Make sure that all soiled bed covers and linens are removed and bed is appropriately made. It is mandatory that the patient’s bed clothings are changed frequently. Make sure that mattresses, bed rails, doorknobs, and remotes are cleaned with the appropriate solution. This should be done on a daily basis. In the meantime get the laundry started, by putting all the items that was taken from the patients bedroom in the machine. By this time the patient will be ready for dressing. Address bathroom tidy as you go. Do not return to clean the bathroom, do it as you go, while you are in there. Finally deposit all washcloths and soiled towels in machine and start laundry. The entire activity can be done before breakfast. This activity should not take more than sixty minutes. 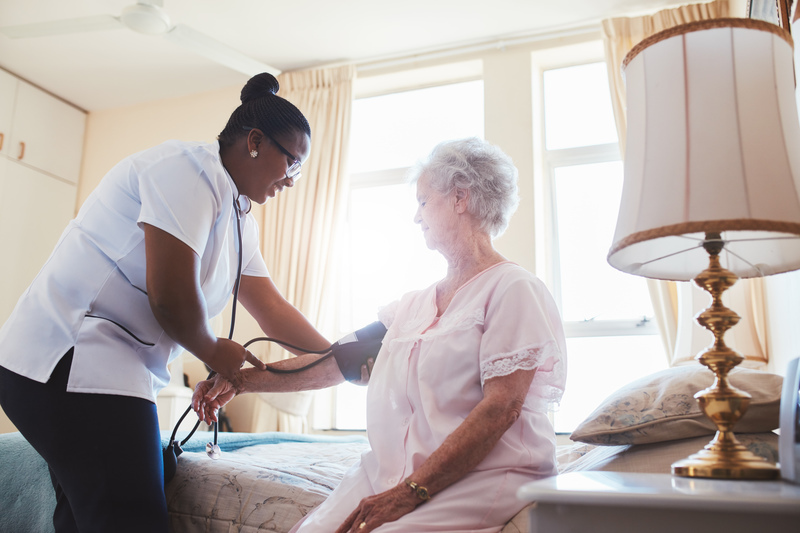 If the patient is unable to be left alone, you may attend to the bedroom at the end of the care activity, and the patient is securely seated in the the correct location, where there is supervision. However if you are alone in the home with the patient, who is not able to be left alone, you may make sure that her or she is within view as you attend to the remaining choors after both room care. At the end of care and dressing, when you leave the room and bathroom everything should be in place. Next: Meals and Meal Activities! Previous: HYDRATION; Need To Drink More Water?